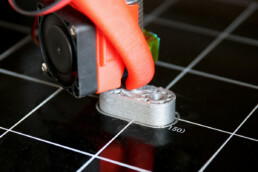 3d printed custom pieces when needed. 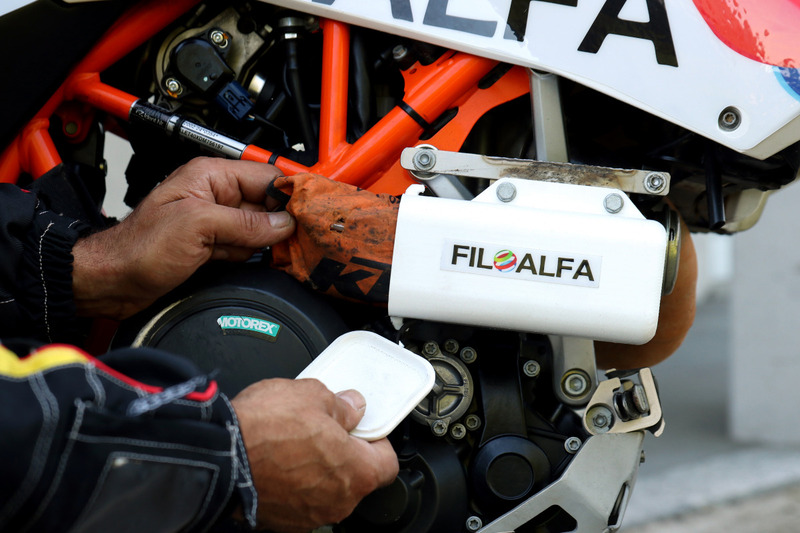 Thanks to an initiative of the founder Antonio Berera, a printer will be available to motorcyclists during the Gibraltar Race to replace broken pieces in real time. 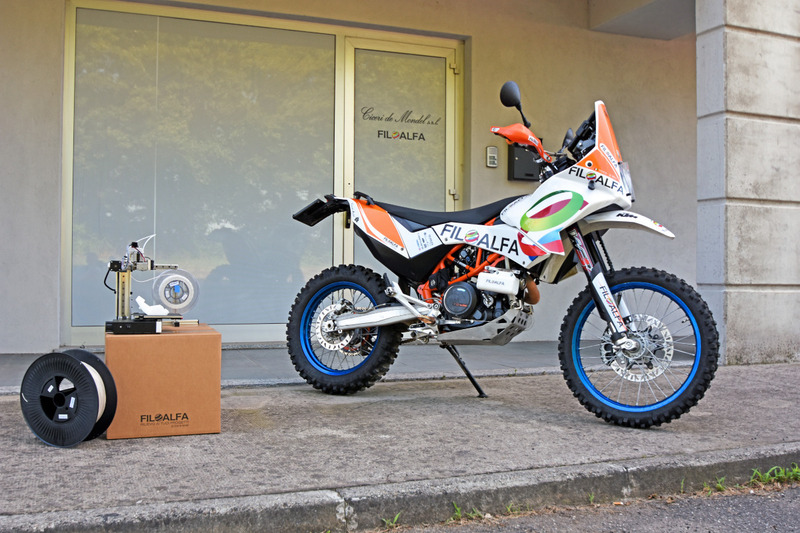 Our studio designed the livery of the motorbike, putting emphasys on the two brands envolved: FILOALFA by Ciceri the Mondel, the 3d filaments producer, and KTM, the manufacturer of the motorbike. 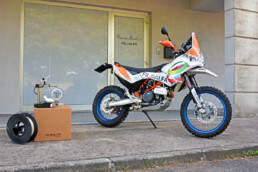 This year the race will start on June 22 from Brasov, Romania, and will cross Europe for a total of about 8000km, with expected arrival in Gibraltar for July 7th. But how to be able to combine the travel and off-road passion with the activity of FILOALFA, a company active in the production of filaments for 3D printing? 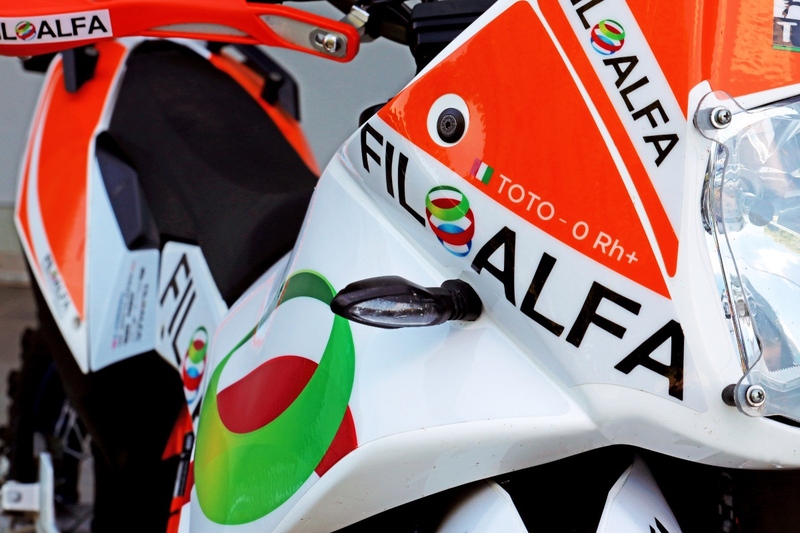 The Gibraltar Race is not a race based only on speed, but above all on navigation and regularity and provides many hours to go driving. 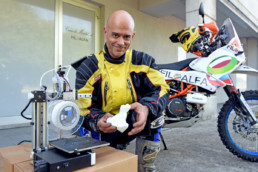 The reliability of the rider and the bike is necessary to get a good placement and for this Antonio, a civil engineer, has decided to make changes to his equipment using the FILOALFA technical filaments and the 3D printer. Furthermore, they decided to install a small printer on the assistance truck of the organization, with the intention of allowing all the participants who will need it to be able to produce components and spare parts for the motorcycles in the race. Antonio will provide the same materials he used to create some useful customizations to his bike, ie FILOALFA ALFA +, Thermec Zed and PETG. 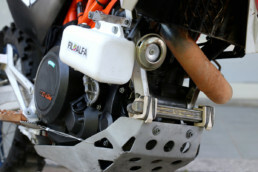 On the KTM 690 of 2013, sponsored by FILOALFA, there are already some 3D printed components including support for the navigator, a tool box, the support for the levers disassemble tires and the tire inflating kit.